OCEANSIDE — A city law prohibiting human-powered craft in Oceanside Harbor could be updated, though regulatory changes would not be considered before the end of 2015. Whether human-powered crafts, which include kayaks, standup paddleboards (SUPs) and surfboards, would be allowed in Oceanside Harbor was the subject of the city’s Harbor and Beaches Advisory Committee (HBAC) meeting on Oct. 19. Committee members discussed whether to recommend the City Council amend a law prohibiting kayaks and SUPs from the harbor. The topic was tabled to HBAC’s next meeting in December, but Oceanside Harbormaster Paul Lawrence hopes to see some changes on the horizon. “I wanted to seek the input of HBAC as to what they want to see allowed. Our goal is to get this fixed before next boating season,” Lawrence said. Human-powered crafts are consistently spotted in Oceanside Harbor despite the city’s municipal code prohibiting activities such as kayaking in the harbor. Both Lawrence and HBAC members acknowledged code enforcement has been lax to nonexistent. HBAC member Les George estimated the law prohibiting human-powered craft has been on the books for at least 35 years. George said he does not have any problems with SUP users and is okay with people finding creative ways to enjoy the water. The main issue for George is safety; he seeks to have safety rules in place so kayakers and standup paddleboard users do not physically collide with boaters, possibly causing serious injury or death. This reporter observed one person navigating through the harbor with a SUP during a Friday afternoon last month. He cruised past three boats en route for the ocean and navigated into one of the harbor’s fingers. “The Harbor Department allowed people to come in and paddleboard. Now the cat is out of the bag and they’ll allow it. We’ve had this rule and the police haven’t enforced it,” George said, adding users of human-powered craft are not required to take any tests. George added he does not think Oceanside Harbor is ready for human-powered craft. The fairways are “pretty small” and boaters generally have a difficult time backing out of their respective slips without kayaks or SUPs in the vicinity, George observed. He said he received complaints of kayakers and SUP users not knowing the Rules of the Road, such as what side of the navigational channel to stay on when sharing space with a boat. 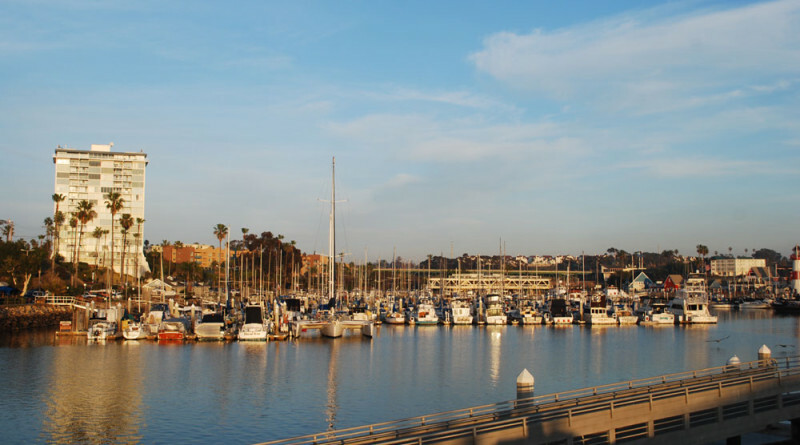 The HBAC member hopes Oceanside will require human-powered craft users to fulfill an educational requirement before being allowed in the same water space as boats. Adjusting the city’s law to potentially allow human-powered craft was first broached at the HBAC’s meeting in August where committee members brought up safety concerns and whether regulations need to be put in place to ensure kayakers or SUP users follow the Rules of the Road and steer clear of the harbor’s boats. George said he was concerned about liability, especially since kayakers and SUP users are allowed to navigate the harbor’s channels despite a current law prohibiting the activity. What kind of liability could Oceanside face if a kayaker, for example, collides with a boater and suffers injury before the city makes any changes (if at all) to the prohibition on human-powered craft? HBAC members will meet in December and potentially seek clarity of how to move forward. The U.S. Coast Guard defined standup paddleboards as vessels when not used in a bathing, surfing or swimming area. Santa Barbara began a water education program in an attempt to allow standup paddleboard users and kayakers navigate the local harbor without interfering with boats. Redondo Beach reportedly took steps in April to regulate standup paddle board operators and designated what portions of the harbor the human-powered craft users could navigate.